Located by the banks of River Limmat, Zurich pulsates throughout the year. Apart from its scenic splendor and almost impeccable climate for celebration, the city tops the list of world’s most coveted tourist destinations because of the event highlights in its calendar. From open air concerts celebrating the playful spirit of summer to the Magical New Year Eve celebration; no matter at what time of the year you plan your Zurich holidays, be ready to lose yourself in the effervescence of the world’s most high-octave mass celebrations.Among all other festivities that rule the annual calendar of Zurich, perhaps Zurich Street Parade is the most exclusive event to be hosted by the town. Berlin was renowned for hosting the internationally famous Love Parade. Although this event no longer exists in Berlin’s calendar, the infamous zeal and raucousness of the big-hearted street gathering has found itself the most surprising location– roads of Zurich. While its predecessor Love Parade lacked some essence in terms of logistics, the Zurich Street Parade left no stones unturned to perfect the science and art of throwing a day-long on-roads party. The event is decked-up by 30 love mobiles, 600 DJs or acts and 7 stages for not less than one million people. The Street Parade in Zurich is a demonstration of love, peace, freedom, generosity and tolerance. The parade has changed considerably since its beginning in 1992. In spite of its popularity as high-spirited jamboree, the street parade continues to be regarded as a political demonstration. 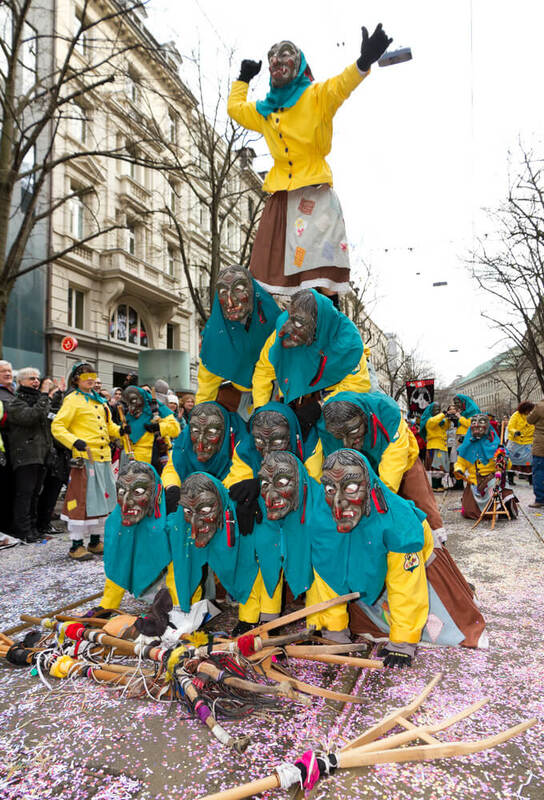 If you ever plan a trip to Zurich during this time of the year, you will see people step outside on the roads wearing the most outrageous party costumes. Ever since the Love Parade of Berlin changed its location to Zurich, the festival has expanded with better arrangement. You will find DJs belting out tunes of more current electric music than ever before and a riotous happy crowd fueling the utter madness of the street parade. Apart from all the elements of music and party which is intrinsic to any European Extravaganza, the organizers also give adequate attention to a wide range of services such as disposal, paramedics and security. This is also one of the reasons why cost has increased drastically in sync with the increasing number of visitors. But one thing must be accepted that despite the touch demands that the non-profit making event has to meet, Street Parade didn’t lose the “soul” of the former techno movement at all. 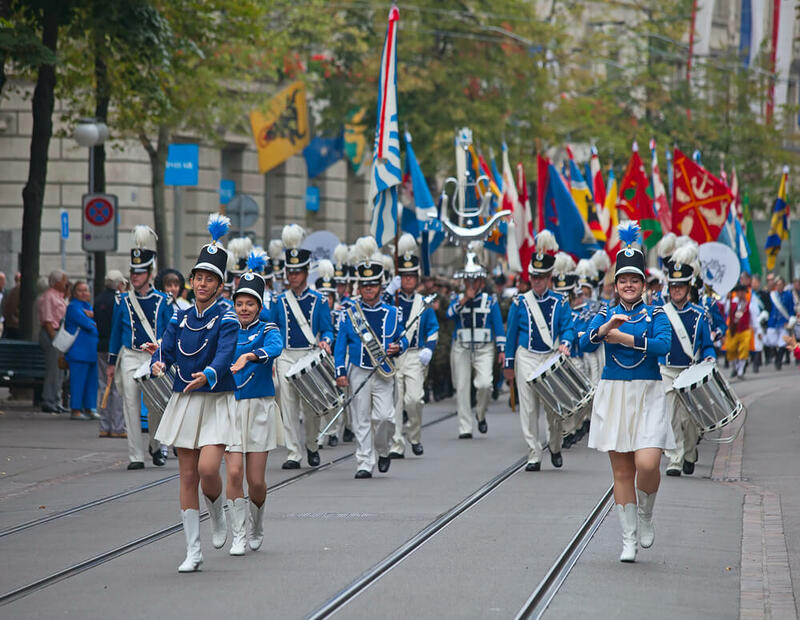 No matter what time of year you plan to visit Zurich, be ready to lose yourself in the fizz of the world’s most high-octave mass celebrations, Zurich Street Parade.